Do you want to update your website? Let us do it for you! Once your website goes live, staying updated and responsive to your customers is key. We want to help you grow your website alongside your business. An updated website will retain customers, attract more visitors, and convert those visitors into customers. Let your design team know when you need updates or support — big or small. 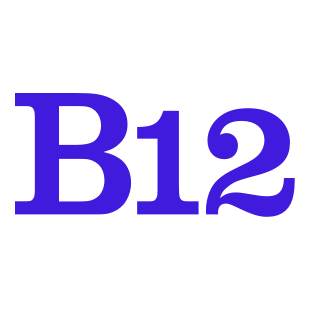 To start, log in to the B12 Design Suite here. If you are having trouble logging in, you can follow these instructions. On the left-hand column of the Design Suite, you will see a card for recommendations, a card to submit your update request, and then the rest of the editing tools. In the field What can we update for you, type out the update you would like to see on your website. Attach any files, such as a photo or video, if applicable. Check the box I understand that I will be billed $75/hour to submit your request. We will contact you if we think the update will take more than one hour. If the update takes less than one hour, we can refund you for the part of the hour that was unused, or we can keep it as a credit for future updates. Once you hit Submit, you will see this pop-up window. By clicking OK, you will return to your design suite. Click Give more feedback to submit another update request.